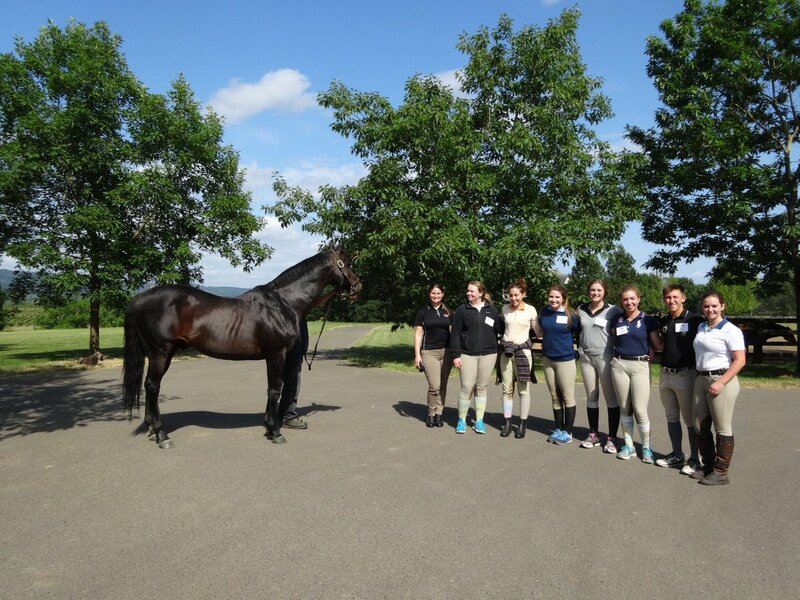 When Mr Speaker (Pulpit) set foot on the grounds at Lane’s End Farm Friday to begin preparations for the 2018 breeding season, his return represented the culmination of a year-long ordeal that left the third-year stallion quarantined in Chile being treated for piroplasmosis, a tick-borne disease found in horses. After covering 117 mares while fully syndicated in his first year at Lane’s End in 2016, Mr Speaker was shipped to stand his initial Southern Hemisphere season at Haras Cordillera in Chile. When the GI Belmont Derby winner returned to Miami at the conclusion of the year in December 2016, he was not permitted to re-enter the United States due to a positive test–a development that left the Lane’s End team searching for answers. The recent negative tests opened the door for the Mr Speaker’s return to America earlier this month. After spending a week in quarantine in Miami, the stallion was finally cleared to make his way back to Kentucky. When asked about Mr Speaker’s future prospects, Farish said it has been a work in progress calling attention to the fact he has returned to the United States. Because Mr Speaker was absent for the entirety of what would have been his second year at stud in North America–effectively putting a halt to the continuity of his career–the young stallion will likely need to prove himself all over again in 2018. According to a post from @oakhurstequine in Oregon on Facebook, 1996 #KYDerby winner Grindstone has been pensioned from public breeding duties. The first #KYDerby winner to stand in OR, he has been joined in recent years by Giacomo. Grindstone at 24! He's loves his visitors and personal fan club! Raised A Secret GSP (Songandaprayer - Sensitive Soul by Bernstein) joins Giacomo and Slew’s Saga for 2018. Grindstone looks fabulous in that photo. Grindstone is "not commercially breeding". Does that mean he will meet a few carefully chosen private mares? I love Grindstone! Worked with a few of his babies, they were awesome. He did well out here, I hope he has a happy retirement!! oldgraymare wrote: Grindstone is "not commercially breeding". Does that mean he will meet a few carefully chosen private mares? Sounds like it. Probably just shareholder mares. Or maybe "AI" with other breeds(QH)- like they did with Storm Cat and Favorite Trick among others. Both are gone- but I seem to remember reading that there is still some Favorite Trick swimmers around. Per the Jockey Club, Grindstone was bred to 4 mares last year. He's still a great looking horse and got a few nice runners early on in his stud career. Freshman sire Duke of Mischief will be relocated from Northwest Stud in Central Florida to the Equine Veterinary Hospital of Northern Indiana, near Wakarusa, where he'll stand for $2,000 for 2018. The 11-year-old multiple graded stakes winner of nearly $2 million is now owned solely by his breeder, Marilyn McMaster, who bought out the partners with whom she raced the son of Graeme Hall. Duke of Mischief did his best racing from 4 to 6, when he won four graded stakes, including the Oaklawn Handicap (G2), Charles Town Classic Stakes (G3), Philip H. Iselin Stakes (G3), and the Ft. Lauderdale Stakes (G3). As a sire, his progeny are expected to improve with age. "He was not getting enough support in Florida," said Dan Boik, manager of McMaster Farm. "He will be more of a classic-type horse, so we think he'll do better with a different group of mares. Indiana also has a strong sire stakes program. We think we'll have more success with Indiana-breds." I have been seeing alot of nice horses either in or going to Indiana. Could work out very well, and the next big horse may come from their program. They seem to be promoting and doing the right things. Nice site. I've been noticing the runners sired by Fort Prado, who is the spitting image of his handsome sire. His offspring do well in that Midwest area. Ridan_Remembered wrote: Grindstone looks fabulous in that photo. I board horses at Oakhurst and they take amazing care of their animals. I think Grindstone is considered a member of their family and he looks fabulous for his age. He has been an amazing regional sire for Oregon-breds and am happy to own a daughter who is currently in foal to Giacomo (who also looks fabulous). If you are ever in Portland, OR, you should make an appointment to visit them - the farm is very friendly. Looks like Hootenanny will be standing at Buck Pond for a fee yet to be determined. Shadai has released new videos on youtube! and.. here's Shadai's new official website! ooooooooooooooooooooooh there goes the rest of my day Thanks for sharing the links, tachyon!! He reminds me quite of bit of his sire, Gio Ponti. Per Diamond B Farm owner Glenn Brock, they could not get him to breed mares. He was checked by specialists but never showed interest. Has been retired to a friend's farm but I don't have any other info regarding a potential 2nd (not stud) career. @BH_CNovak random, but do you have any info on Pants on Fire (the stallion, not the 3yo IRE filly). Retired, no covers... just gone?